Select 'name' and 'score' columns in rows 1, 3, 5, 6 from the following data frame. name : "Suresh", score: 15.5, attempts: 1, qualify: "yes", label: "k"
41. 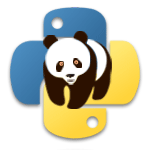 Write a Pandas program to convert DataFrame column type from string to datetime. Col4 is not present in DataFrame. Col1 is present in DataFrame.